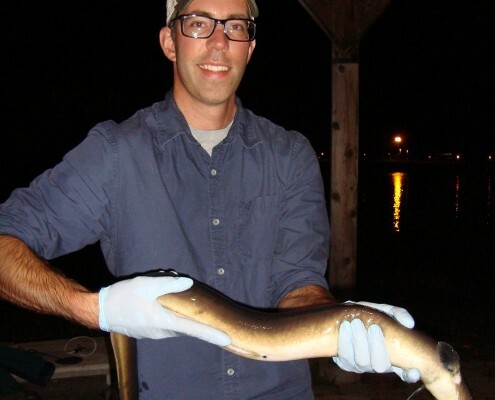 American Eel once dominated the great lakes and their many tributaries. 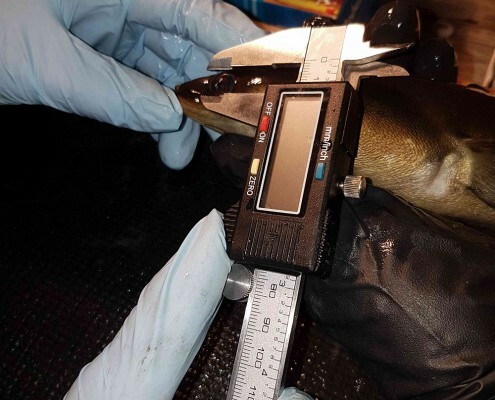 As much as 80% of the biomass in the system consisted of eels. 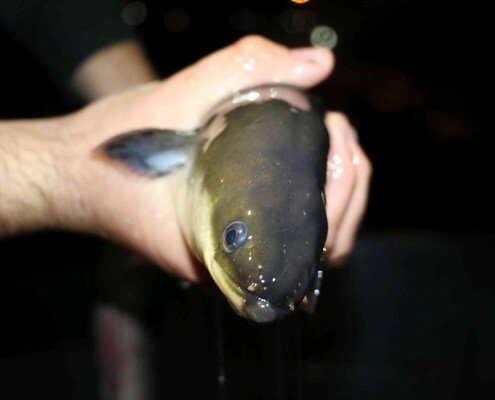 Habitat loss, excessive commercial fishing, and hydroelectric dams have all impacted their abundance, which is now estimated to be about 1% of their former glory. 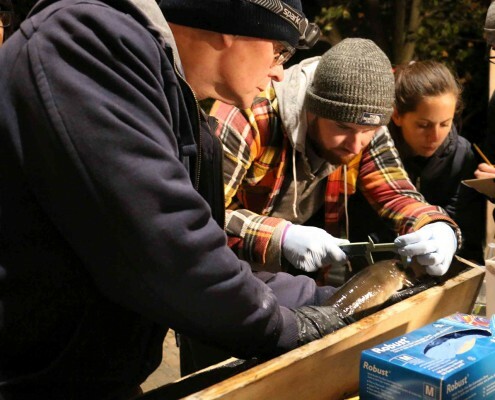 Listen to Episode 162 of Blue Fish Radio as Matt Windle, Biologist with the St. Lawrence River Institute for Environmental Research, explains how he and his volunteers carry out their annual night-time fall survey of American Eels on the St. Lawrence River. Joining in to give her account on how the survey work unfolded is Blue Fish Canada volunteer Lisa Goodier.